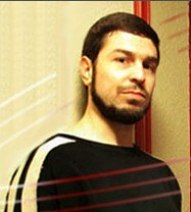 Maher Arar is a Syrian national who relocated to Canada in 1987, and secured Canadian citizenship in 1991. He obtained a Bachelors degree from McGill University and a Masters degree in telecommunications from INRS-Telecommunications. He had worked as a consultant for MathWorks, a Massachusetts-based high-tech firm, since 1999, and had met his wife in Canada. Arar’s rendition is notable for having taken place from US soil, whereas most renditions have involved transfers of detainees captured in other states. On 26 September 2002, Arar was detained while attempting to make a connecting flight at New York’s JFK airport, on his way to Montreal following a holiday in Tunisia with his wife and children. During the holiday he had been called home to Ottawa by his employer to meet a potential client. Having been apprehended by immigration officials, he was handed over to FBI agents, who proceeded to question him, alongside New York Police Department staff, for several hours, before detaining him in a cell overnight. He was denied the right to make a telephone call home or to have access to a lawyer. Among other things, he was questioned about affiliations to terrorist groups, and of knowing two other Canadians with Syrian families who were accused of terrorism. Arar barely knew the pair, Abdullah Almalki and Ahmed al-Maati. The next morning, 27 September, Arar was taken for further interrogation throughout the day. That evening, he was taken into custody by the US Immigration and Naturalization Service (INS) and held, incommunicado, in the Metropolitan Detention Center in Brooklyn where he was held for 11 days before his rendition. On arrival at the Detention Center he was strip searched, dressed in an orange jump suit, and had a vaccination administered, although he was not told what it was for. On his second or third day at the Metropolitan Detention Center, Arar was given a document saying that he was inadmissible to the US as he was a member of al Qaeda. He was also asked to complete a form stating where he wished to be deported to, so he wrote that his choice was Canada. During his stay at the Detention Center he was visited by Canadian consul Maureen Girvan. He communicated his fears to her that he would be deported to Syria, and was reassured that this would not happen. On 5 October 2002 he was finally visited by a lawyer who advised him not to sign anything without her being present. On the night of 6 October his guards questioned him about why he did not want to go to Syria. He explained that he was afraid he would be tortured, having not completed his military service before leaving Syria for Canada, and because he is a Sunni Muslim, and because his mother’s cousin was accused of involvement with the Muslim Brotherhood and had been detained by the regime for nine years. They asked him to sign a document, which he refused to do. The notice for Arar’s deportation was signed by the regional director of the INS, Scott Blackman, and was approved by Deputy Attorney General Larry Thompson of the Department of Justice. Blackman stated that the Washington DC commissioner of the INS, James Ziglar, had affirmed that Arar’s deportation was consistent with the US’ obligations under Article 3 of the Convention Against Torture, since ‘diplomatic assurances’ were obtained from Syria that the detainee would not be tortured. Arar was chained and transferred to the Teterboro airport in New Jersey, where he was put on board a small private jet, bound for Jordan. Flight data and associated documentation demonstrate that the aircraft was a Gulfstream III jet with tail number N829MG, registered at that point by MJG Aviation. Click here for our analysis of the flight data and documentation associated with Arar’s rendition from the US to Syria, via Jordan. The beating started that day and was very intense for a week, and then less intense for another week. That second and the third days were the worst. I could hear other prisoners being tortured, and screaming and screaming. Interrogations are carried out in different rooms. One tactic they use is to question prisoners for two hours, and then put them in a waiting room, so they can hear the others screaming, and then bring them back to continue the interrogation. The cable is a black electrical cable, about two inches thick. They hit me with it everywhere on my body. They mostly aimed for my palms, but sometimes missed and hit my wrists they were sore and red for three weeks. They also struck me on my hips, and lower back. Interrogators constantly threatened me with the metal chair, tire and electric shocks. The tire is used to restrain prisoners while they torture them with beating on the sole of their feet. I guess I was lucky, because they put me in the tire, but only as a threat. I was not beaten while in tire. They used the cable on the second and third day, and after that mostly beat me with their hands, hitting me in the stomach and on the back of my neck, and slapping me on the face. Where they hit me with the cables, my skin turned blue for two or three weeks, but there was no bleeding. At the end of the day they told me tomorrow would be worse. So I could not sleep. Then on the third day, the interrogation lasted about eighteen hours. They beat me from time to time and make me wait in the waiting room for one to two hours before resuming the interrogation. While in the waiting room I heard a lot of people screaming. They kept beating me so I had to falsely confess and told them I did go to Afghanistan. I was ready to confess to anything if it would stop the torture. They wanted me to say I went to a training camp. I was so scared I urinated on myself twice. The beating was less severe each of the following days. They called me up to sign and place my thumb print on a document about seven pages long. They would not let me read it, but I had to put my thumb print and signature on the bottom of each page. It was handwritten. Another document was about three pages long, with questions: Who are your friends? How long have you been out of the country? Last question was empty lines. They answered the questions with their own handwriting except for the last one where I was forced to write that I had been to Afghanistan. He was threatened with additional torture if he reported the abuses to Canadian consular officials that visited him while in Syrian detention. He maintained his silence from 23 October 2002 to 14 August 2003, when he cried out during the visit of a consular official that he had been tortured and was being kept in a grave. On 20 August 2003 Arar was transferred to the Sednaya prison. There he was able to talk to other prisoners because he was held in a shared cell. During September Abdullah Almalki was also transferred to the Sednaya prison. He had also been held at Far Falestin and subjected to similar forms of torture as Arar. On 4 October 2003, at 9pm, Arar was told he would be returning to Canada, but he did not believe it. The next morning, Arar was finally released without charge. He was shackled and driven a court where the prosecutor read his forced confession to him. His protests were ignored and he was told he must sign and finger print the document. He was not permitted to read it, but the prosecutor did say that there would be no charges and he would be released. He was then driven back to Far Falestin where the head of Syrian Military Intelligence and officials from the Canadian embassy met him. He was then escorted from the building and driven to the embassy in an embassy car. According to a Syrian diplomat, Arar was released because they found no link between Arar and Al Qaeda, and could not substantiate the allegations against him. The diplomat stated that he was released out of goodwill towards Canada. The Center for Constitutional Rights and co-counsel DLA Piper US LLP brought a lawsuit on behalf of Arar against former US Attorney General, John Ashcroft, FBI Director Robert Mueller and former Secretary of Homeland Security, Tom Ridge, as well as various US immigration officials. The plaintiffs were accused of violating Arar’s constitutional right to due process, his right to choose a country of removal other than one in which he would be tortured, as guaranteed under the Torture Victims Protection Act, and his rights under international law. The case proceeded through the District Court for the Eastern District of New York where the case was dismissed. His lawyers filed an appeal in the Second Circuit Court on 12 September 2006. The appeals court dismissed the case on 2 November 2009, on the grounds that adjudicating Mr Arar’s claims would interfere with national security and foreign policy. On 1 February 2010 Arar’s lawyers petitioned the Supreme Court for review of the court of appeal decision. On 14 June 2010, the Supreme Court denied his petition, dismissing his case and ending his efforts for redress in the US courts. In a public inquiry by the Canadian Judicial Commission into the involvement of Canadian officials in Arar’s rendition and detention, it was confirmed that it was information passed to the US by Canada that led to his arrest. It was also clear that while on the one hand the Canadian government had supported Arar’s wife in her campaign to secure Arar’s release, it was at the same time requesting information from the Syrians obtained from Arar’s interrogations. The Canadian Judicial Commission of Inquiry found that Arar was unlawfully transferred and that there was no basis at all for the allegation of terrorism-related activity. It also confirmed that Canadian authorities had transmitted faulty information to the US that contributed to his illegal transfer to Syria. Finally, it verified that Arar was tortured, concluding that 17 of the techniques he was subjected to by the Syrians at Far Falestin constituted torture. In evidence given to the Inquiry, US immigration law experts from Cornell Law School concluded that there were substantial grounds for believing Arar would be tortured, and therefore that US officials acted in contravention of Article 3. US officials refused to participate in the inquiry and the US was criticised heavily in the Inquiry report for its lack of cooperation. Arar was awarded 10 million Canadian dollars as compensation from the Canadian government for the role it played. Commission of Inquiry Report into Actions of Canadian Officials in Relation to Maher Arar, September 2006.